as we venture in the Sea of Cortez. See and experience what we saw through our cameras' lens, as we sailed and motored through some of the clearest waters imaginable. And amoungst some of the most spectacular sea life and geological formations, sunsets and sunrises, we have ever seen! 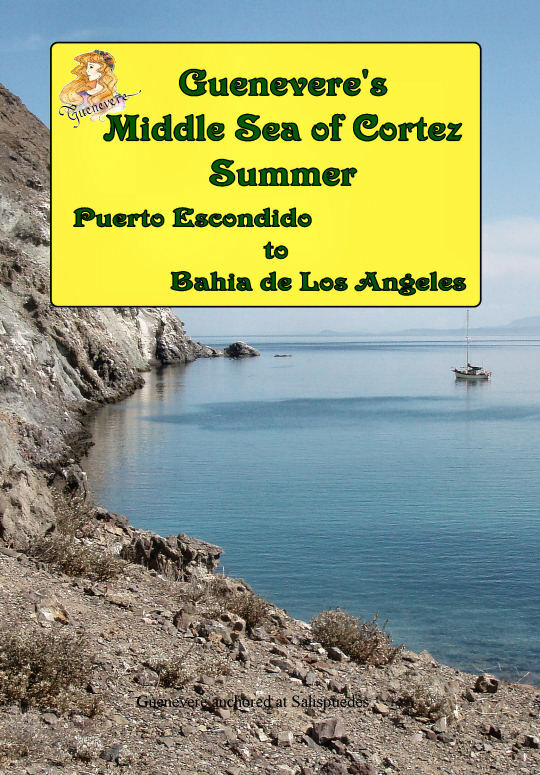 Join us aboard our 27 foot sailboat, Guenevere, for this continuation of our journey in the Sea of Cortez. This trip takes us from the Puerto Escondido, Baja, Mexico area north to the Bay of Los Angeles (BLA), Baja, Mexico, in the Sea of Cortez. After the end credits we list the name, latitude and longitude of 45 anchorages we used during this summer. We are proud to say that these videos were taken on board Guenevere our Nor'Sea 27, or by the two of us during some of the shore excursions, during the travels in the video. We used a home digital video camcorder and a digital still camera. The images were then transferred to our on-board laptop computer where they were edited.